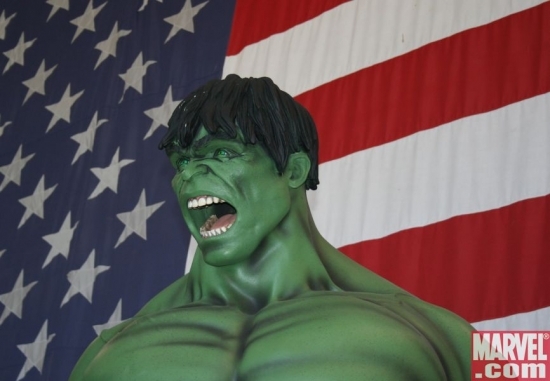 Have a Hulky Memorial Day! Just remember to be safe! 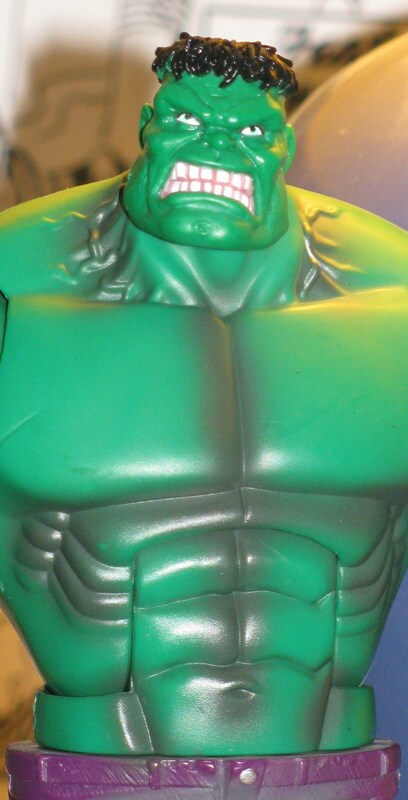 Wow – this may not look much like the Hulk – but it does look real. Freaky but real… and of course – then there is an original art page from issue #6 – for anyone who can afford it! The Positive: What can you say about 2003? 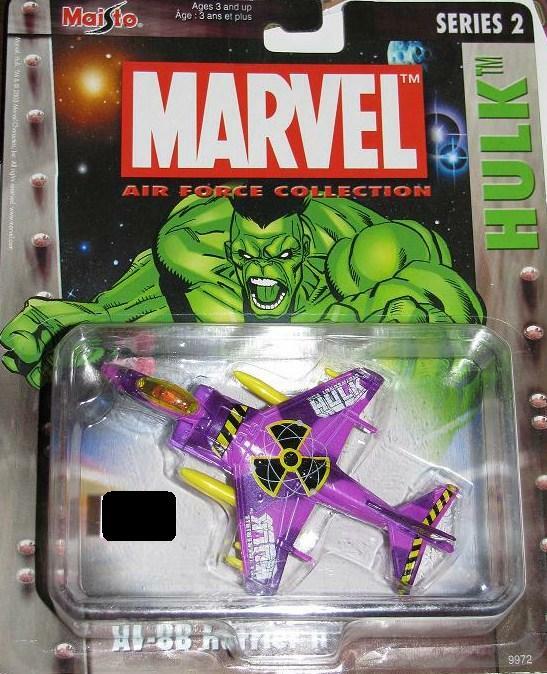 There was so much Hulk stuff I could spend the rest of my life searching and probably never find it all! Luckily, with the traveling I do for my job, I see A LOT of comic shops. 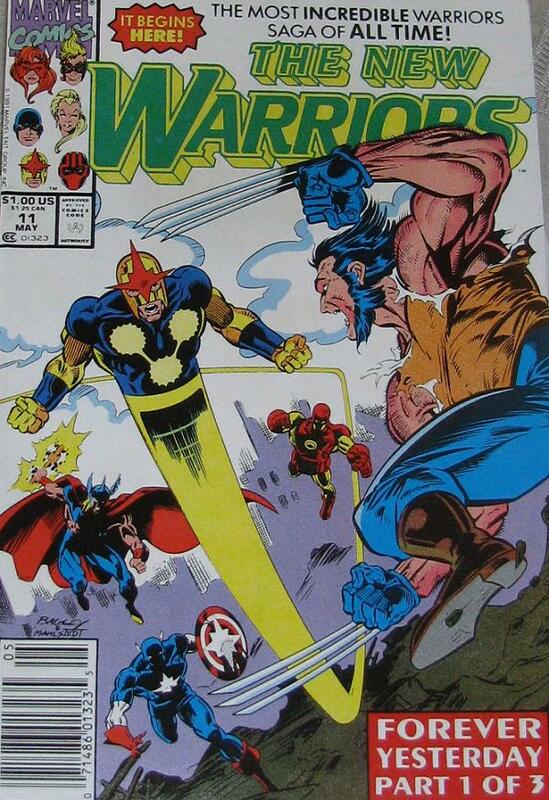 I bought these back in 2009 at Bedrock Comics in Framingham – and I was psyched when I found them! 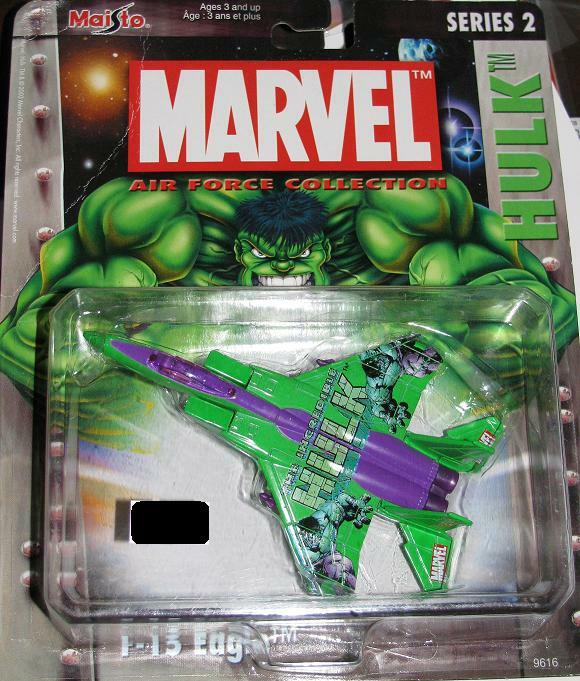 I don’t have many Hulk planes or jets in the collections – so these filled a void. Easy game – name the artist comic and issue number this page comes from. 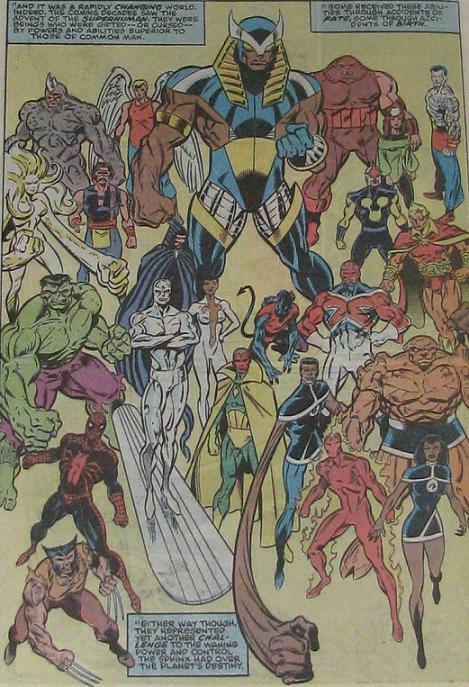 The only hint is it’s the ONLY page Hulk appears on in this issue. Answer tomorrow! 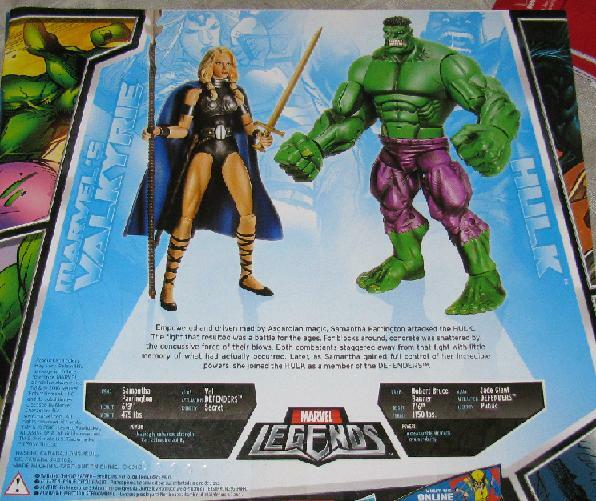 THE POSITIVE: With the MU figures dominating the shelves nowadays it’s nice to see that Marvel hasn’t totally given up on their original ML line. 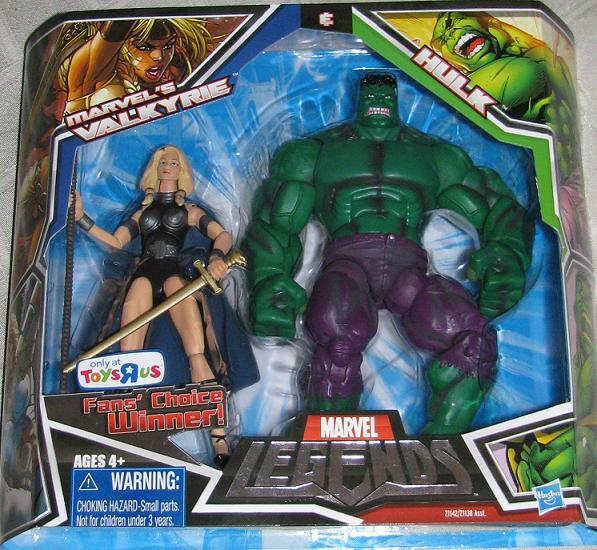 Nothing has beat the Legend figures – in terms of awesomeness! The MU is on the way to surpassing the vastness of character selection – but the ML line is still the tops. 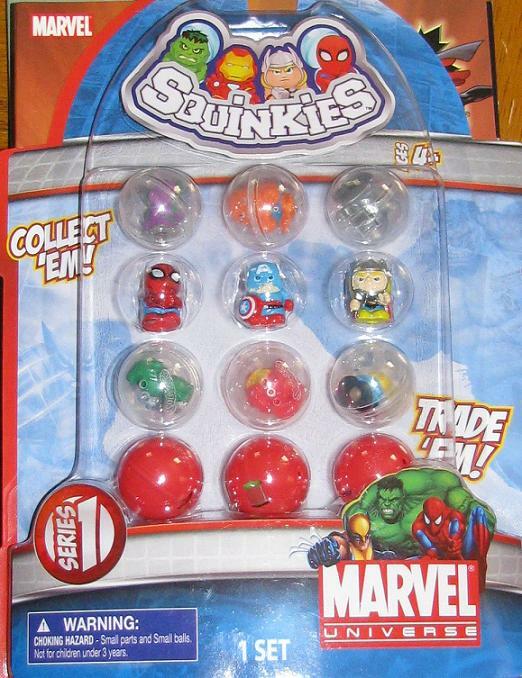 For these recent (I say recent – but it wasn’t that recent – these came out late last year) figures Marvel held an online vote where fans could pick which figures they would like to see released. I can’t remember exactly – but I think the Red King was one of the figures up for the vote – which I would have loved! Amazingly, Aquon was shafted once again… anyways, Valkyrie was the poll and I know quite a few collectors who were ecstatic that they could finally finish their Defenders displays. The head sculpt for the Hulk is brand new and pretty great, seems very inspired by McGuiness, which works well with the re-used body. It works well with the Red Hulk figure if your posing them together (for the record – I think the Red Hulk should have had black pants). This Hulk towers over the other ML Hulks and most of the other ML figures which is perfect since the Hulk is suppossed to be large and in charge. New Head Sculpt Really Works! The original price point worked well for these figures – and by original I mean the $24.99 – not the $29.99 and then $34.99 that it was when it hit the shelves. Thankfully to the readers of this blog I was able to snag one of these figures off the TRU site for $24.99. Thank you to the readers! 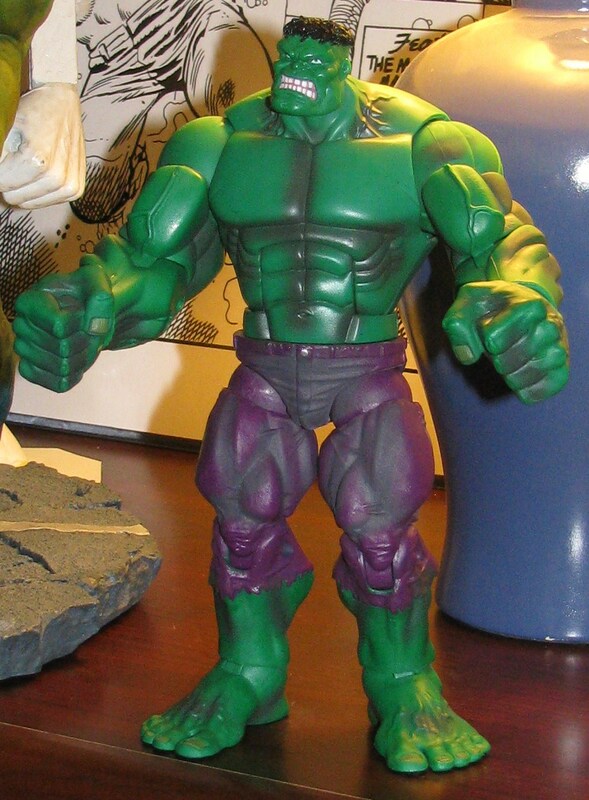 THE NEGATIVE: Yes, this is the same body used for the BAF Red Hulk. The body itself is fine – although it has two fists and I prefer one – only because it makes posing figures easier. The paint application is a bit off… mostly because of the shading. 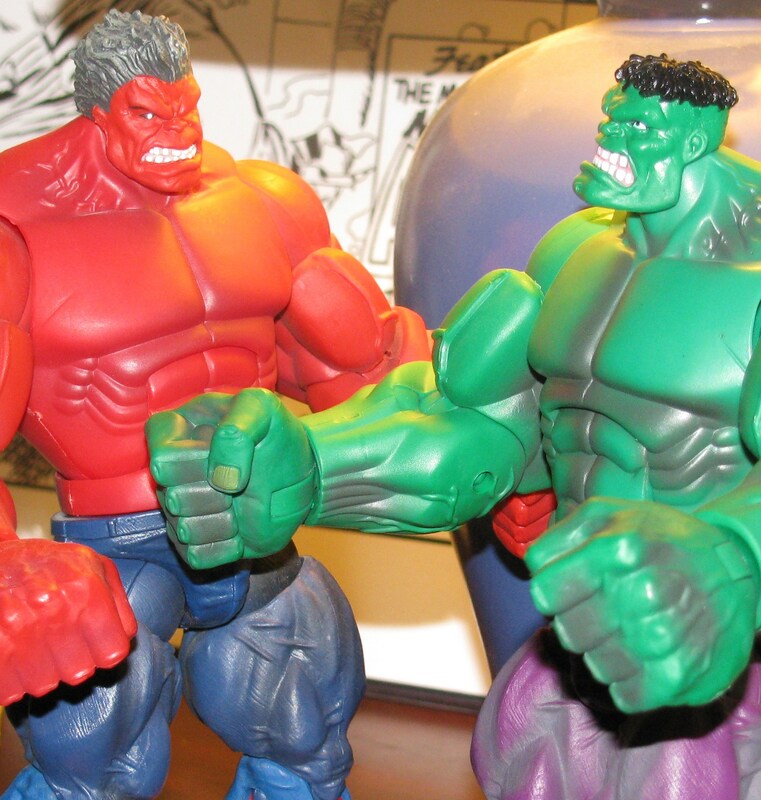 I liked the clean look of the Red Hulk figure – but with the Green Hulk figure here they felt the need to spray black into the folds between his muscles, on his fingers and hands, on his neck and the top of his feet. I am really unsure why they – as it doesn’t look that good. 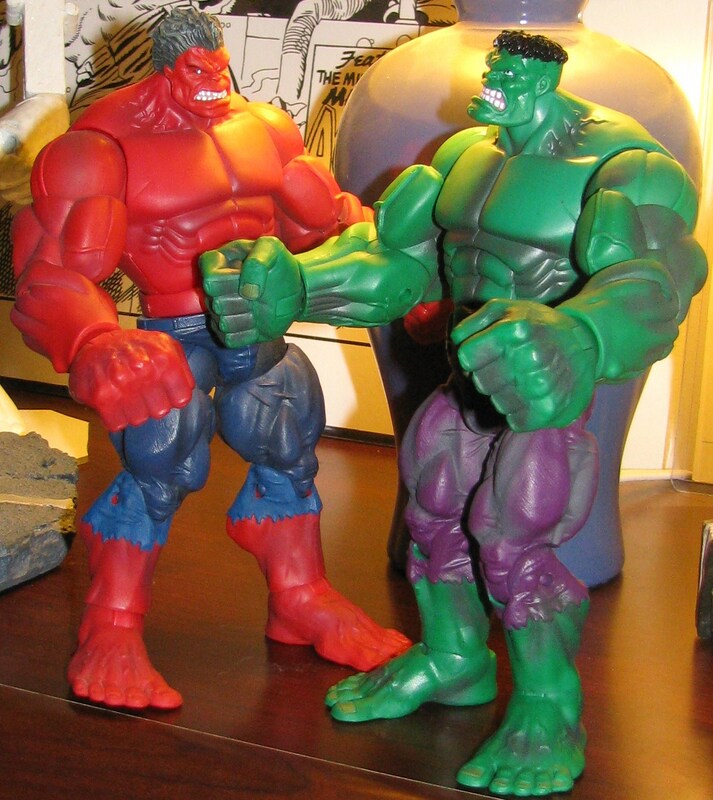 Now, even though I love the size, as far as scale goes – and as far as I recall – since I don’t have the Saquatch figure I can’t compare – but Sasquatch is taller than the Hulk – and this figure is just as big – so the scale isn’t perfect – but what toy line is? I don’t think we an hold that against them since we do have quite a few Hulk figures to choose from when displaying with other figures. 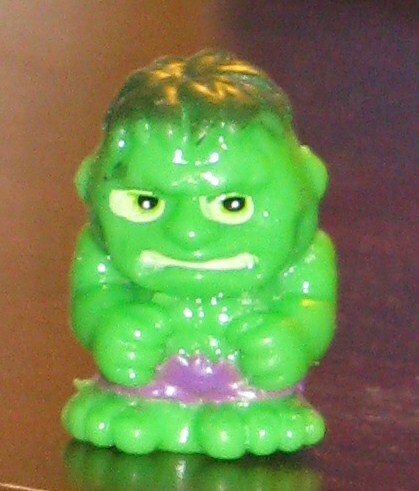 I thought is was funny when David brought by the series 2 Squinkies with a clear Hulk – and today he brought by another set – apparently this is the first set and the store he was at didn’t have them when he picked up the other one. 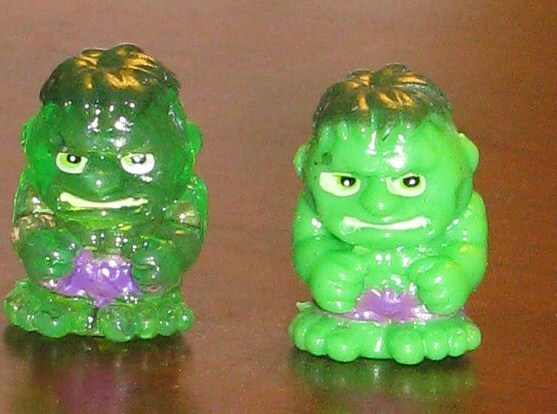 Instead of the clear plastic that the figures are made of in series 2 – series 1 has solid colored plastic. It doesn’t do much for the actual look of the characters – the sculpt – it still looks a bit goofy – but overall, heck, I can admit that they look cute as hell!